Following a brief career as an options trader in Chicago that left him independently wealthy, Wales moved to San Diego in 1996 to form the Internet search engine startup Bomis. In 2000, he and Larry Sanger, an Ohio philosophy student, created Nupedia, a first attempt at an open online encyclopedia. Progress on Nupedia was sluggish, due to preoccupations with scholarly vetting, so in 2001 Wales and Sanger co-founded Wikipedia, a collaborative encyclopedia. Wales is currently based in St. Petersburg, Florida. According to a comment made by Wales himself on 18 September 2004 to Wikipedia, "My actual birthday is August 7th, 1966. This is unverifiable information, I'm sorry to say, since my driver's license and passport say August 8. If we must revert on that basis, then I guess we must... Maybe I'll have to upload a signed note from my mom as documentary evidence; the only proof that I have is her sayso." Wales' comments have subsequently been deleted by an administrator with "oversight" privilege, to make it appear as though he never said these words. They are however available on early database dumps. Wikipedia Press release, dated 15 January 2002, stating "The founders of Wikipedia are Internet entrepreneur Jimmy Wales and philosopher Larry Sanger. Wales has supplied the financial backing and other support for the project, and Sanger, who earned a PhD in Philosophy from Ohio State in 2000, has led the project." 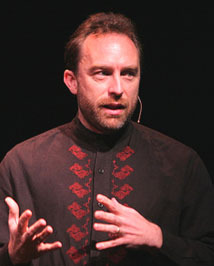 Since Sanger left the project in 2004, Wales has frequently painted himself as the sole founder of Wikipedia.